Keeping my 2014 goals in mind, I’ve been playing around with my 2014 race scheduled. So without further ado, here are the races I plan to run this year! 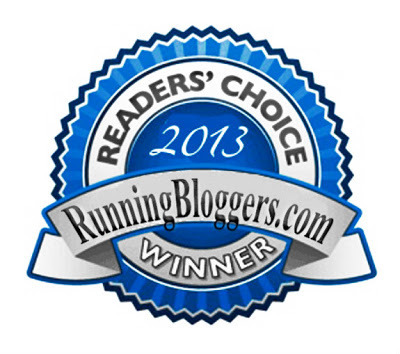 for all of my running buddies, readers, family, and friends! 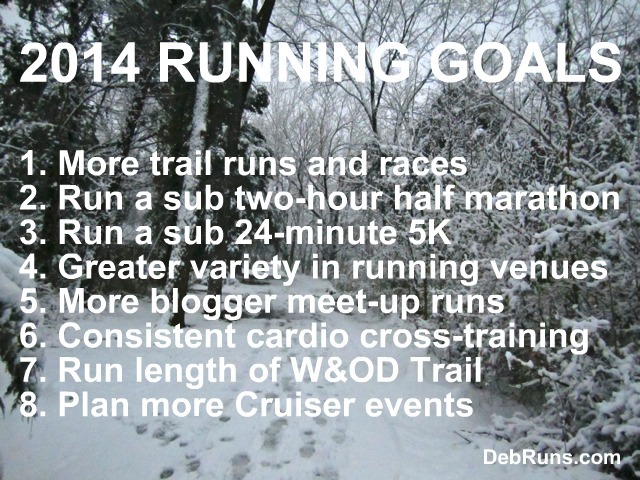 What are your 2014 running and fitness goals? Will you be running in any of the races I plan to run? If so, let me know! Yes, let me know if you’re ever down this way. And don’t put yourself down, you’re relatively new to running. You’ll most likely get faster, and if you don’t, so be it. Just have fun! Those are great goals, Becky! The Cruiser events I’m hoping to add more of are things like breakfast after a run every-other-month, and a spring martini tasting party! My goal is to run a total of 500 or more miles in 2014. And I hope to join you for many of those miles! 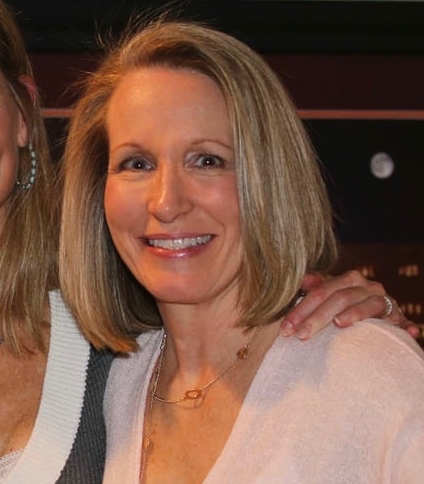 Awesome list, Deb! How about the Charlottesville 10-miler at the end of March? You would love this race. It will be my 8th year running it. Thanks! And yes, it will be a busy and fun racing year! Happy New Year! Great goals! I would also like to run a sub-2 hour half marathon this year. I came within 10 seconds last year so I know it’s possible. You are so organized with your planning! I am seriously thinking about running a marathon this year (my first in about 7 years), but I haven’t a clue which one I want to do. You know you can run that sub-2! The only California marathon I’ve run is Big Sur. It was breathtakingly beautiful! Fantastic goals! I’m sure you’re going to smash them! Have a great 2014! Here’s to a great 2014 to you, too! Happy New Year! I wish I was running some of your races AND lived near you for a blogger running meet-up. Maybe you need a trip back to Colorado sometime this year??? We were just talking about heading back out west for a visit earlier this evening. We’re looking at summer 2015. Complete the Tallahassee half in 2< hours. Trying to talk a group into the Virginia Wine Half. Rich, since you’re thinking of running the Virginia Wine Country Half Marathon, you might be interested in reading my recaps from 2013, 2012, and 2011. Hope you meet your sub two-hour goal at the Tallahassee Half! Love all of your running goals for 2014! Hope I can join you for some races and meet-ups this year! I would love to run with you in 2014! You should come run the Hokie Half!! Those are great goals! I’ve never actually met another running blogger. That would be so much fun to do! Love your other goals as well. I got to meet and then run with Meagan three times this year. I have several other hopefuls for 2014! Best of luck to you as you chase your running goals, and best wishes for a fantastic 2014! Great goals for the year! I haven’t set a lot of running goals, spent most of last year injured and started out the year that way too, so my biggest goal is to be back to running healthy and STRONG. so tired of this injury stuff. Thanks, Christy! Here’s to a healthy 2014! Hmmm… I got the guaranteed entry invitation last year. When did the lottery system start? If it’s starting this year, then I can’t be assured that I have guaranteed entry, but I would assume so. The lottery starts this year… I think it opens mid-February? 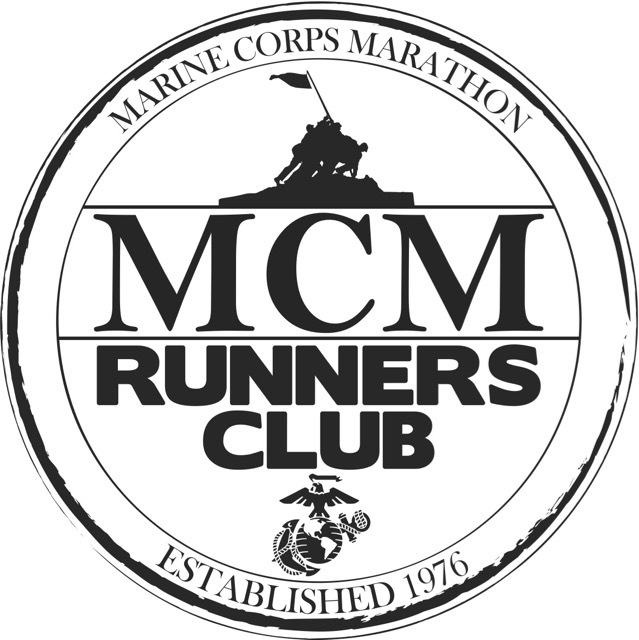 Hmmm… I haven’t been contacted by the MCM staff with any changes and the website still says, “Runners who have completed at least five Marine Corps Marathons are eligible to join the MCM Runners Club and receive a guaranteed entry into the marathon for life.”Join the MCM Runners Club and receive a guaranteed entry into the marathon for life.” I thought it was ten MCM’s, but it looks like it’s only five!